Its newmechanical structures such as the receiving bin in which rice grains can be cooled and the double adjustable counter pressure valves etc enable the machine to realize the low-temperature rice milling operation with the aid of cold air and under negative pressure. 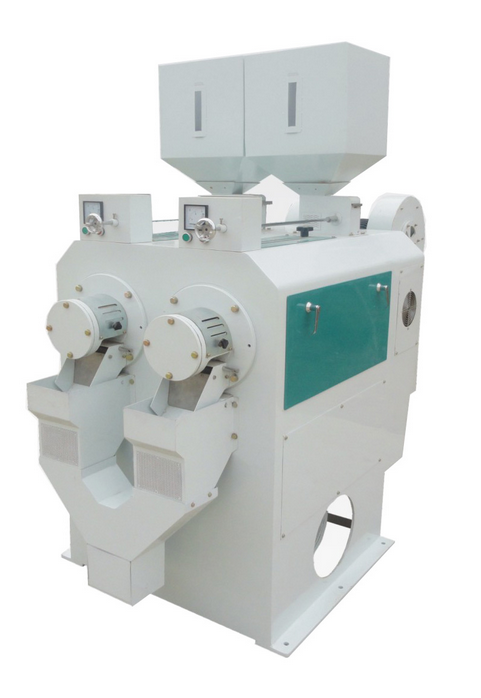 The rice milling system in which this machine is incorporated can increase rice whitening efficiency, decrease the number of rice whiteners to be used and lower power consumption, therefore it is a must to furnish this machine in a low temperature rice milling system with high capacity. Looking for ideal Double Roller Rice Whitener Manufacturer & supplier ? We have a wide selection at great prices to help you get creative. All the Rice Mill Plant Machinery are quality guaranteed. We are China Origin Factory of Rice Polishing Machine. If you have any question, please feel free to contact us.